Last Tuesday, the controversial Hindu priest Kamalnayanacharya published an appeal in a mainstream Nepali paper calling on majority Hindus to launch a ‘religious war’ against secularism. A week later, Hindu groups continue to vandalise and obstruct life across the country, demanding that Nepal go back to being a theocratic state. While the individual’s religious freedom comes under the ambit of fundamental rights guaranteed in the draft constitution, there is no basis for questioning the provision of declaring Nepal a secular state. In a democracy, defining the character of the State as secular ensures its neutrality in religious affairs, essential to maintaining communal harmony. India, which has a larger Muslim population than Pakistan, chose to be a secular republic. Because of its secular constitution, the country’s religious minorities are enjoying equal freedom, even under conservative right-wing governments. The Sushil Koirala government’s tacit support of religious extremists risks an escalation of tensions. Here in Sunsari, the local police was sympathetic to the protestors demanding a Hindu state. The fact that lawmakers have been repeating public concern for religious freedom in the ongoing CA deliberations is proof that they haven’t done enough to convince their constituencies that a secular state can impartially protect and guarantee religious freedom for all. This has raised serious doubts about whether our own lawmakers fully appreciate the principle of secularism in a democracy, in the first place. 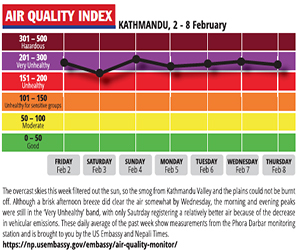 Last week’s feedback-gathering campaign also saw bitter clashes in the Tarai districts where locals protested against the draft constitution and burnt copies. 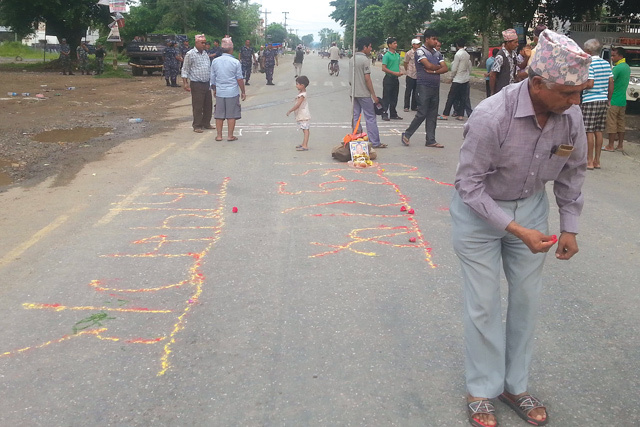 Cadres affiliated to Madhes-based parties obstructed the feedback gathering process. UML leader Madhav Nepal was attacked in Rautahat, while protesters hurled stones at UCPN-M Chairman Pushpa Kamal Dahal who fled the scene. Similarly, an unidentified group lobbed a petrol bomb at Finance Minister Ram Sharan Mahat’s vehicle in Nuwakot. These attacks are not acceptable, but they were expected. We were taking a dangerous gamble by trying to postpone federal demarcation in the draft constitution. Fed up with Kathmandu-centric politics and development, people had decisively called for Nepal to be declared a federal state from the streets during the Madhes movement, a demand that was incorporated in the Interim Constitution 2007 after 56 people lost their lives. The last CA was dissolved precisely because the parties could not agree upon the number and boundary of the provinces. So, when the draft was tabled in the CA three weeks ago proposing to postpone the demarcation of provinces, Madhes-based parties protested once again. The protests inside the CA resonated with the local mood here in the Tarai, as thousands took to the streets. A week later, the situation remains fluid. The National Human Rights Commission (NHRC) has condemned police brutality during the crackdowns and instructed the government to take action against the guilty officers who used disproportionate force. The rights body has also taken exceptional note of serious flaws in the draft and submitted its written concern to the CA Chairman Subhas Nembang. “We are worried that the draft has overlooked universal principles of human rights and our international commitments in some provisions including citizenship rights to women,” Commissioner Mohana Ansari told me this week. Article 12 on citizenship limits women from passing down equal citizenship to their children. Similarly, article 24(2) allows the state to ‘regulate’ the media, a draconian clause that could be abused to suspend press freedom. Article 36(3) which guarantees right to free higher education for disabled and economically marginalised, has been limited by subjecting it to formulation of bylaws. There are similar limitations on the right to health, right to food, and rights of senior citizens, the homeless and the Dalits. Nepal has already been embarrassed internationally for its mistreatment of refugees, so watering down fundamental rights could see the country plunge further in the global human rights index. "Fundamental rights must be stated clearly in the constitution because they come immediately into effect and the state cannot postpone them under any pretext," the NHRC says in its feedback to the CA. There has been a deluge of such feedback in the past two weeks during the public consultation process. Still, hundreds of thousands of farmers reeling under a severe drought in the Tarai and those affected by the quake remained unaware of the proceedings. The best way to uphold their injured aspirations is by ensuring that Nepal’s new constitution adopts an inclusive democratic character in letter and in spirit.